Over the past few months, I have shared my analysis of various packaged/junk/ready-to-eat foods - their ingredients, nutrition information, preservatives, false promises and health claims. Thanks for the positive response and words of encouragement. This post is a compilation of all such previous posts put together, so it is easily accessible for anyone new to my blog. I'll keep this list updated as I write more about new product launches in the near future. 1. If everything is bad, then what else should I eat? I have answered the exact question in this blog post with a list of healthy alternatives. There are plenty of options that are healthy and tasty. A junk food free pantry and fridge is totally possible. 2. You say that we need to eat a lot of fruits and vegetables. But they contain pesticides too. What other options do we have? I agree that fruits and vegetables contain pesticides. 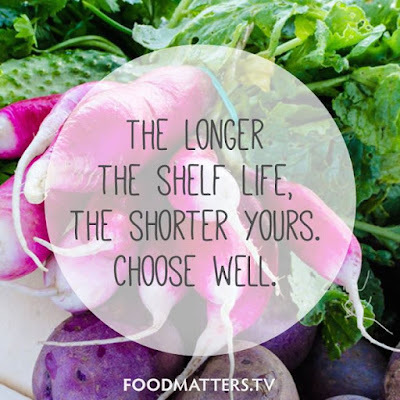 Going organic is the best option but not many can afford to make the switch. There are also trust-related concerns on how to validate whether a certain produce is organic or not. One of the most important organs of our body is the “liver”, that helps in detoxification and flushing out toxins and chemicals. If we keep our liver in good condition, then my belief is that such toxins we consume from fruits, vegetables, air and water can be eliminated to some extent. To maintain our liver in the best condition, my recommendation would be to stay away from alcohol. I had written a separate post on why we should say No to alcohol. Please do check it out. There are other foods that impact our liver - refined oils, white sugar based foods, excess consumption of high carb foods like white rice, maida etc. Eliminate them as well, in order to let your liver do a good job of detoxification. Younger Generation should read this and avoid all these. Will they! Information from experts like you are more valuable than social media trolls which are misleading. Thank you for your efforts and your social responsibility. Hope our generation learns from this. Wonderful article to read and understand the business of corporate world where profit is only the criteria. Advertisement is the major role to play inviting kids to attract these products. A chapter on nutrition and side effects of packaged foods to be incorporated in primary classes to enable kids to understand what type of food is good for them. Your analysis is an eye opener for many.. Really commendable. Looking at the rise in number of cancer patients worldwide.. Well we know the reason now. Useful information but now I am confused as to what we should eat!! Great piece of unbiased work! Rare insights to the junk we feed ourselves and kids ...and then we wonder how did one 'suddenly' get cancer! Got the link through a WhatsApp group and Thanks for such valuable information. This is an eye opener. Though we read through the ingredients we fail to realise the complexity and harmful effects of these stabilisers, preservatives that is present in almost all packaged foods. Thanks Anuradha. The summary of healthy alternatives you have provided is so helpful. The article is proving that our South Indian breakfast n out very old traditional foods are good for health which our kids should know, for which as a parent caring for their kids health should prepare it at their home. This is my view. Motivational blog and yes there is also a need for a viable alternative. Thankyou for all the hard work done by you. Totally agree. Motivational blog and yes there is also need to give a viable alternative. Thankyou for all the hard work done by you. Wonderful analysis! Thank you for spending your valuable time to create the awareness. It's an amazing article! I would like to share this with your permission. I agree with your views and have been following them for few decades. Good products don't require advertisement. Nobody advertises lemon juice coconut water sugarcane juice butter milk once they are processed and packed they need advertisements . Best is home cooked food once you are outside home you can eat fruits and salads, dry fruits. I strongly endorse the view about liquor every drop damages the liver and other organs. It is very sad to see more and more people drinking. We must stress on prevention is better than cure. We should eat healthy do good physical activity meditation for physical mental and spiritual health. This can be achieved with articles like yours bringing awareness amongst public. Every one please translate in to local languages and circulate on whatsapp face book etc. Thanks once again. I personally stopped consuming sugar for more than 20 years. Unprocessed freshly cooked foods salads and fruits. Avoid all long shelf life products. Avoid all refined products. Thanks. My blessings and good wishes to you. You have done a great service to all those lovely kids who get addicted because of TV advertisements. PARENTS should tell the little ones about the side effects of these Junk foods. I'm Dr Pallavi Aga and I am working on health and wellness. I endorse all your thoughts and so appreciate the fact that you have taken so much effort to spread this awareness. I will be happy to connect with you. Thanks a ton for taking out time to pen down your analysis for the benefit of others. Hi did you have any reviews about Nutella and sunfeast peanut butter.